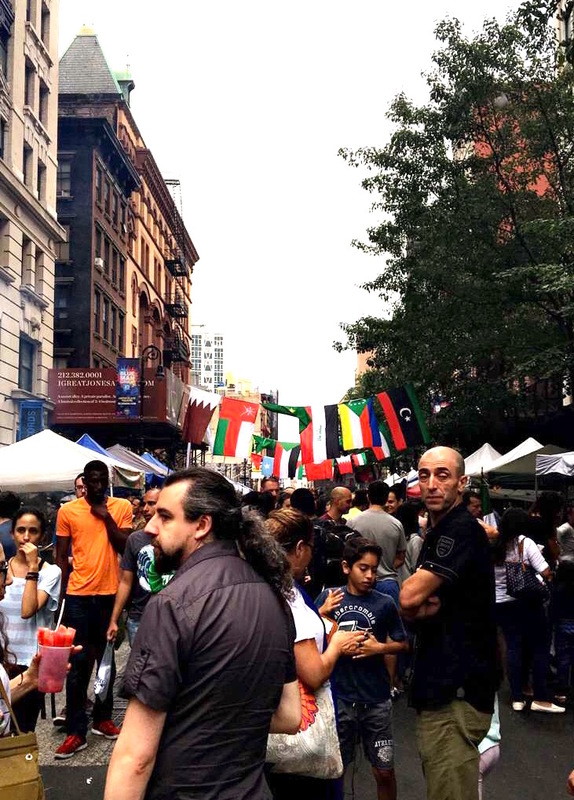 The entrance of the Arab-American annual street fair on Great Jones Street. 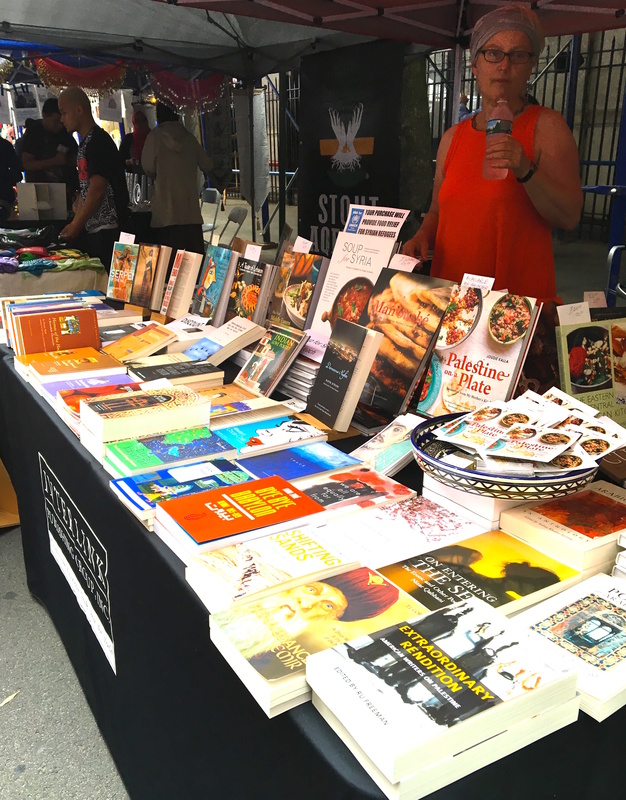 Every summer during the months of June or July, The Network of Arab-American Professionals (NAAP), a nonpartisan, volunteer-based organization dedicated to the development of a prosperous and influential community, hosts one of the biggest Arab-American street fairs in Manhattan, New York City. This year’s NAAP street festival took place on a beautiful small block, with cobblestones and unique buildings under the flags of all Arab countries flying above our heads. The street fair took place in the historic NoHo neighborhood on Great Jones street between Lafayette & Broadway. 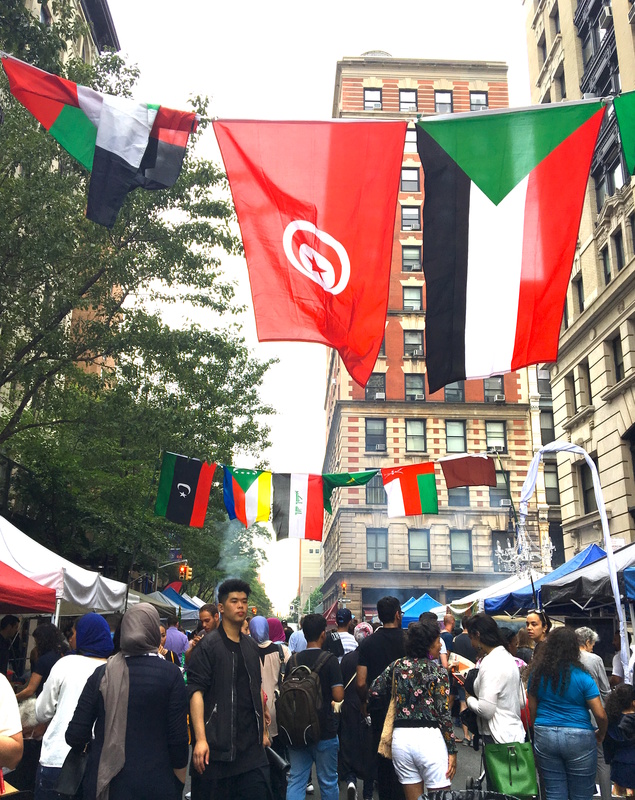 In the heart of downtown Manhattan, attracting thousands of attendees every year with dozens of vendors and live cultural performances from around the Arab world; the largest of its kind on the East coast! Flags hang proudly above us. People from across the five boroughs of New York gather to attend the food festival mixed with a live performer and DJ, a ton of food vendors, bookstands, and artsy handmade crafts for purchase. And did I mention Henna tattoo drawings? Arab-Americans from all Middle Eastern nations in the region come together and enjoy five hours of laughs and festivities. A girl getting a henna tattoo design. 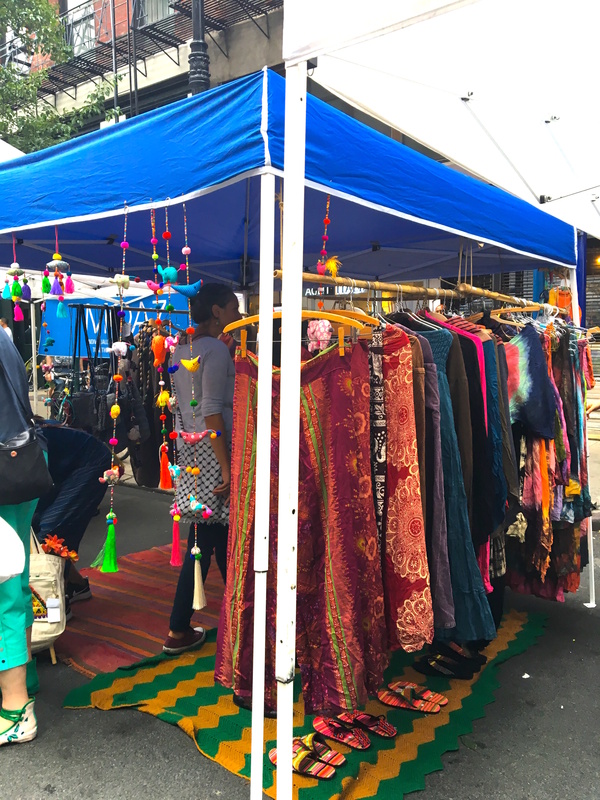 The City of New York’s Mayer’s Office of Media and Entertainment usually allows up to 5 hours on a Saturday afternoon to share the space where people can eat, mingle, dance, purchase beautiful handmade jewelry and handcrafted art henna tattoos. 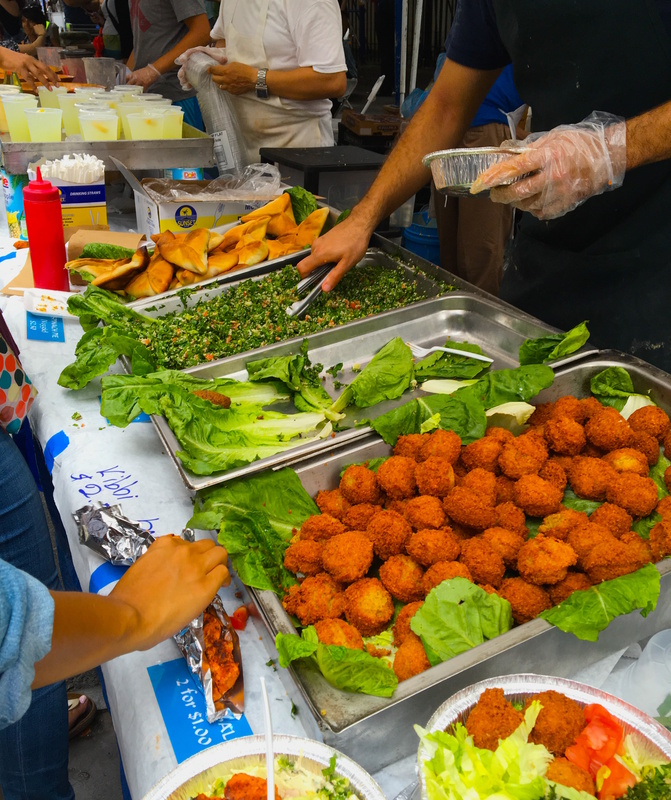 After the holy month of Ramadan, downtown Manhattan is swarming with festivities in the New York Arab American food festival with more than 10 food vendors, dabke dances and Arabic music. 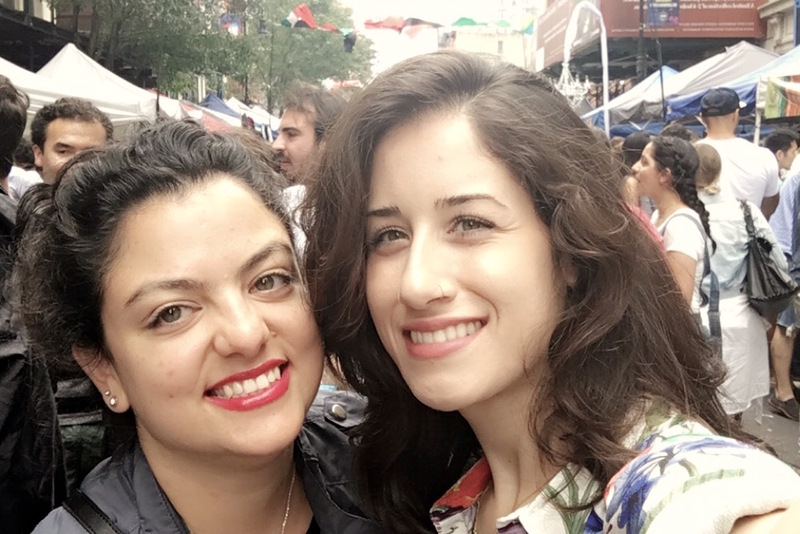 The air is filled with the aroma of barbecued Shawarma, fresh juices, and people going up and down the block laughing and meeting new folks. The festival is a celebration of Arab and North African cultures to honor various contributions with vendors displaying food, music, art and literature of the Arabic culture, and one never forgets the hookah service. 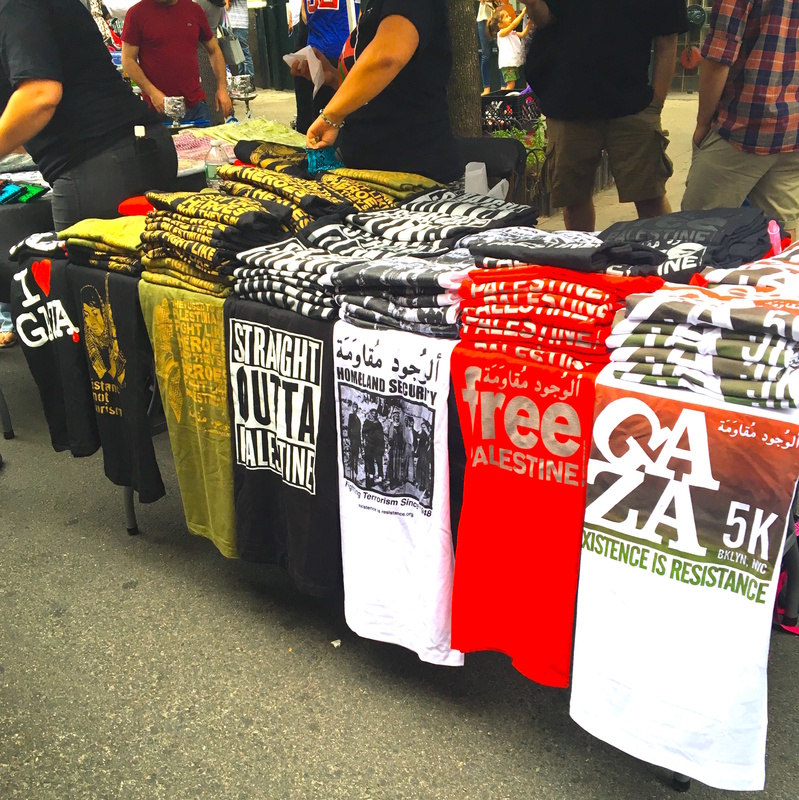 ‘Free Gaza’ Tshirts. All purchases go to charity for the cause. And of course, the cuisine. Yum! 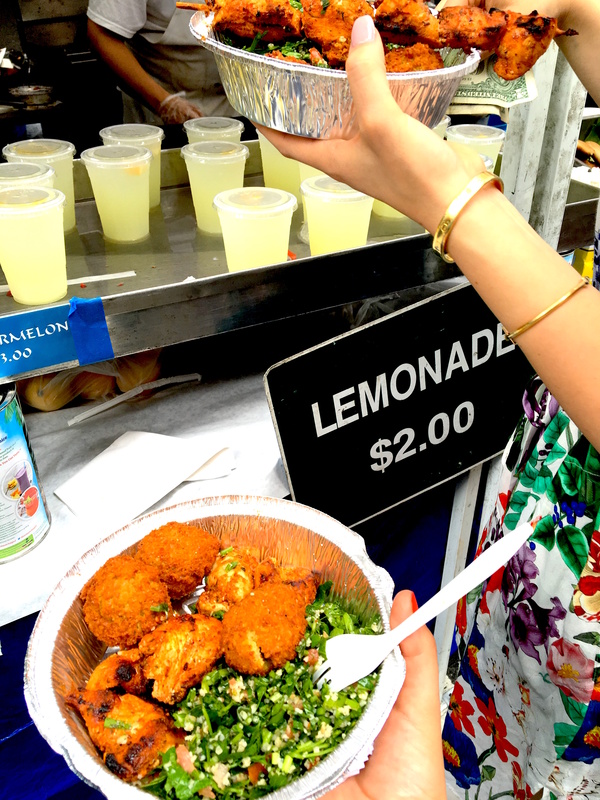 Chicken Tabula platter and fresh-squeezed lemonade. Perfect for the heat! NAAP festival aims to bring people who share similar backgrounds together to converse and talk about what they do and balancing the hustle and bustle of New York life. I was very happy to attend this event in lieu of what is happening around the world and how an event like this can bring people together for an afternoon, where we could just laugh and be! I think NAAP did a great job in organizing the event and contributing to bringing folks together and maybe perspective husbands, new acquaintances, roommates, or just for a good conversation and fun.